It is a regular struggle to decide in which homeschool teen group, church youth group, and field trip activities to allow Amber to participate. Some are on a day or at a time that will make the following days very difficult. Some are quite simply going to cause physical harm to Amber. Others will require days to rest up from, but are so worth the resulting illness. That last category is the one we have most difficulty determining. 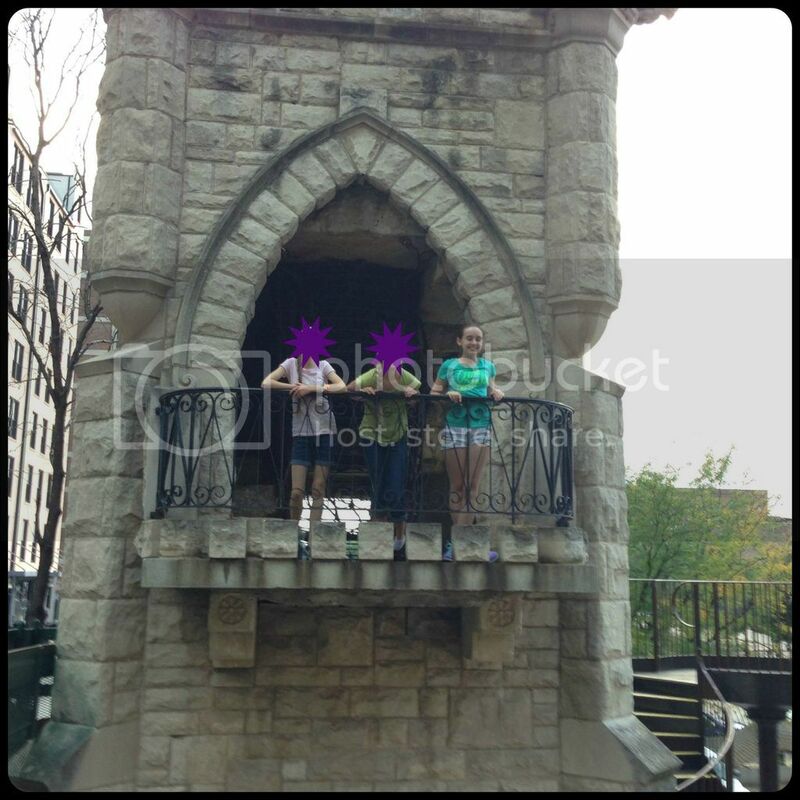 Recently the homeschool group's teens had an outing to the City Museum in St. Louis. This is an amazing place that is like a children's museum for big kids and adults. There are climbing structures outside and inside, a 10-story slide, other impressive slides, a "cave" system, art areas, and even a roof top complete with its own Ferris wheel. Amber's best friends in the group were going. Fred and I decided even though it was a Friday evening event, running till Midnight, we would let Amber attend with the condition that we left no later than 10 pm. Both Fred and I went with Amber since it was down in the heart of the city and we would be leaving in the dark. At times both of us were needed to take care of Amber too. She had an amazing time with her friends, who were fantastically understanding when she needed to rest. She got overheated after about 45 minutes in the outside structures, so they all came inside to explore there. Amber needed to sit, rest, cool down and drink a few times inside. One time her friends rested too; another time they stayed close by and came back for her after just a few minutes. We tried to give Amber space and allowed another mom to take the group through the caves. Amber greatly dislikes me being the chaperoning parent all the time. During the caves the group found the entrance to the 10-story slide. They walked the steps slowly, resting often. Another teen from the group and I did eventually try to catch up. (The caves and the slide areas require all visitors under 18 to have an adult with them.) We found Amber's group just as they finished the slide, however the group waited for the other teen and me to finish our climb and slide down. It was quite the trek up with a teenager who runs 5Ks. The roof top is an amazing area with multiple types of slides, one of which is a tube you climb up the outside to then side down the inside. Amber chose not to do that slide, but did the wide one that has a rope guide to climb. Eventually the girls decided to wait in line for the Ferris wheel. By this point our roof top group was only three girls, the others having decided to go for a snack. The Ferris wheel only fit two people per car, so I volunteered to go with Amber the first time. Of course, Amber was very grumpy over this and kept complaining in line. I finally had to tell her it was me or nothing. Thankfully, I had the gut feeling it was necessary to ride with Amber. The last time she had been on a Ferris wheel or any type of amusement ride was at age 4. The Ferris wheel she rode back then was very slow. This one was not overly fast, but it wasn't slow. Our first indication of a problem was just getting into the car. Amber was extremely unstable following me into our position. We were the second to last car to be loaded, with Amber's friends being the last car. When the wheel moved to load her friends, Amber sorta freaked a bit and got nervous. When the Ferris Wheel started up for the actual ride, Amber had an instant negative reaction. She thought she would throw up, started holding her head and closed her eyes. I tried to get her to spot her location, but she said it was worse. This wasn't exactly motion sickness, but her sensory processing disorder. She is highly sensitive to vestibular changes. All Amber could say was "Get me off Mommy. Get me off." After trying to calm her because my phone was not easily accessible, I managed to get a text sent to Fred who had the operator halt the ride. Amber could feel the ride slowing and told me "I need to be first off." I had to explain that her daddy was the one having them stop it and we were the only ones getting off. Even more outdoors. Fred took most of the pictures, and he was with them during the outdoors section. The ride was pretty much the turning point for the evening. Amber was worn out and couldn't handle much after that. She enjoyed playing hide-and-seek in another indoor tunnel system when we went inside and met up with more friends, but she was completely exhausted and sick before we ever left the City Museum. 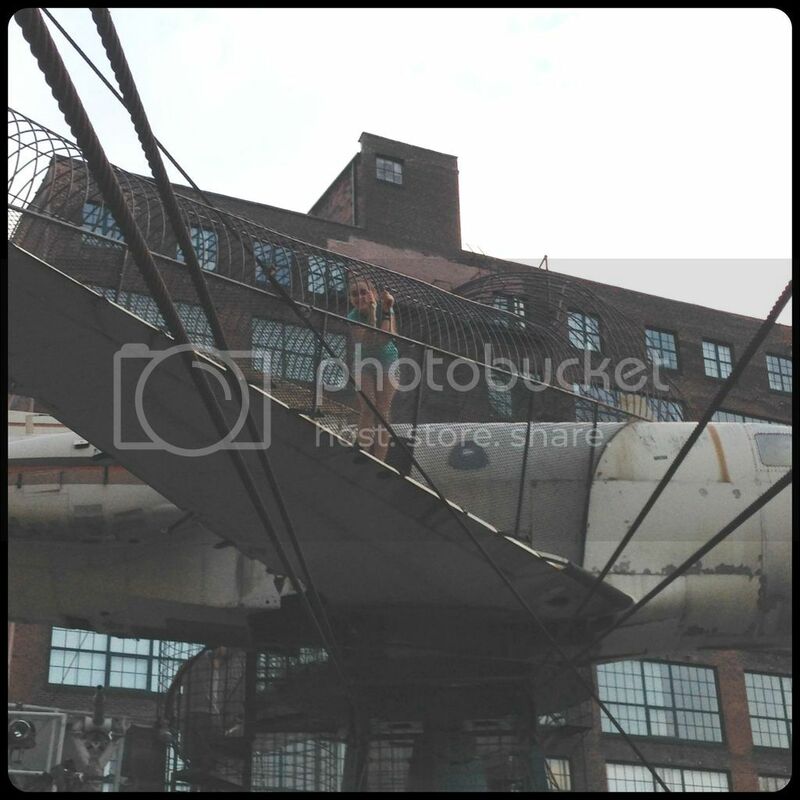 Amber spent the entire weekend after her excursion to the City Museum sick, but felt it was worth the fun she had. Amber made an effort both days of the weekend to practice her flute, complete a few chores, and even made it to church and Sunday school despite feeling horrible. She is definitely learning to cope with her chronic illness, I just wish she didn't have to make such sacrifices for a little bit of fun. I am sorry that Amber has such a hard time. I think you are doing a wonderful job helping her live a fun and full life with her chronic illness. YOU ARE AN AWESOME MOM! 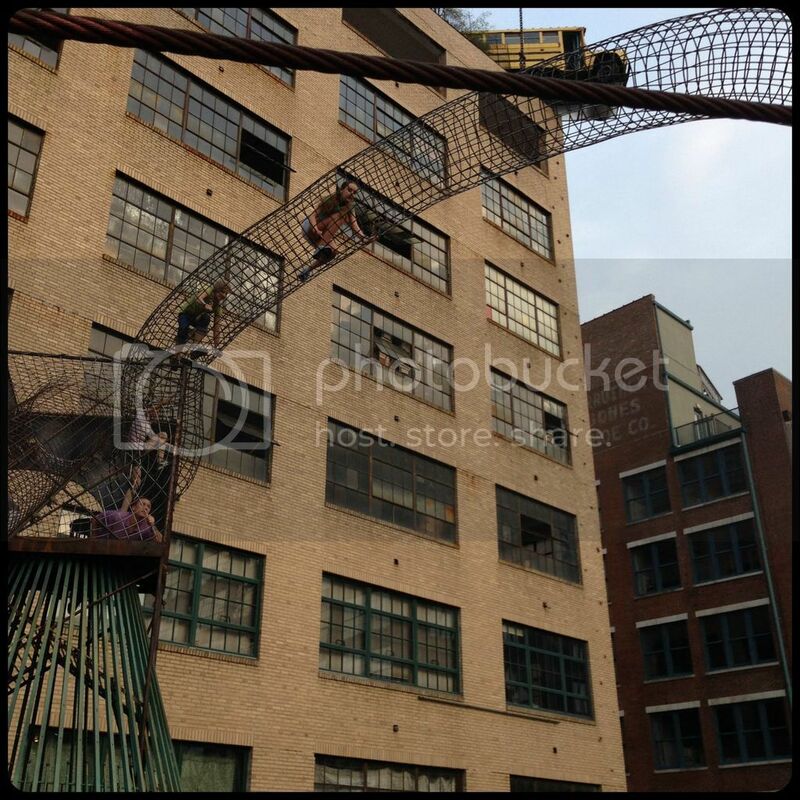 I have heard about that city museum for years and really want to go. Someday we will make it that far from home. I'm so glad you had such a great time out despite the difficulties you encountered. You both have such a great attitude and obviously live life to the full. Yay for homeschooling and the freedom to rest when you need to! How cool is that roof top slide??? I bet Amber and her friends had an amazing time! I know that I would have loved to been there with you! Looks like a lot of fun! If I ever end up in St. Louis, I'll have to make sure to check this museum out. Love the looks of it from your photos. Glad Amber is back into school full swing!